Here are some inspiring landscape and the innovative structure of the house that is not only beautiful. Landscape and structure of these houses can also “work together” utilizing natural light as well as the surroundings. Perhaps, you can make an inspiration. The building is covered by foliage spread all over the building. Interestingly, the “wall” which became the vine leaves are made of glass. According to expert, glass buildings lining to “change from traditional to organic transition”. Instead of making another building layered glass, the same designer to build another multi katu homes. The exterior wood coating the outside of the walk-in-closet and bathroom. The designers of this house called “protective shell”. The shell will give the effect of vertical stripes of shadow in the bathroom. 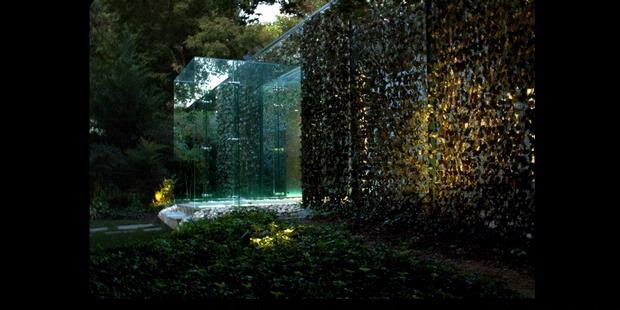 You can imagine the pleasure of bathing while viewing the leaves “dance” in front of your bathroom. 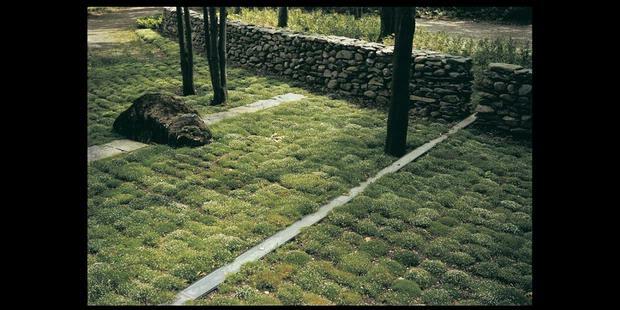 Other innovative landscape design is also associated with accent stripes. The difference is, this time the lines is horizontal . 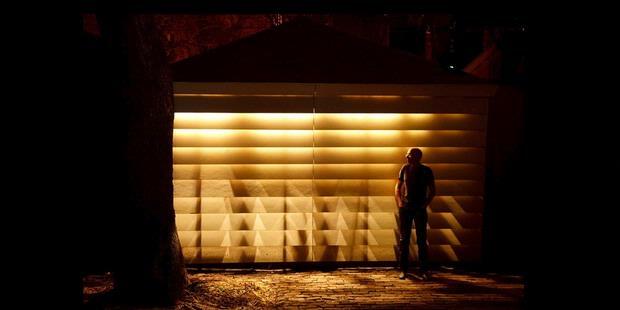 At night, the horizontal lines gives a beautiful light effects, especially when viewed from the outside. Satisfied with lines attached to the wall? This time, you can see the unique garden. Grass in the park looking like overstuffed cushions. The park is divided by lines on the bottom there is a glass lamp. Interestingly, the line seemed to connect with the wall of the house. When evening comes, you’ll see a long line that stretched from the glowing walls of the house to the garden. The last Proyel could be used as inspiration. desaigner is renovating a barn built in the early 20th century. The columns shaped like mushrooms the main attraction at this house.